Music ministry is probably one of the most debated aspects of the Mass. Personally, as a very musical person, I find that music can either be the element that most draws me into the beauty of the Liturgy, or the element that I find extremely distracting, preventing me from focusing on prayer. As someone who’s been involved with music ministry at Mass from a young age, I’ve often experienced the stress of having to choose appropriate hymns for different parts of the Liturgy. Music ministers, you know what I’m talking about—there seem to be countless factors that go into our choices! Luckily, the Church provides us with some guidelines about how we can properly choose music for the Mass. Following these guidelines can help us glorify God in the best way possible through our musical talents. But sometimes, they can be hard to comprehend at first. The majority of the following explanation is derived from Guidelines on Music in the Liturgy by the Canadian Conference of Catholic Bishops. Their document, in turn, is based on the imperative from the General Instruction of the Roman Missal (GIRM) that when the faithful gather to worship, “their communal action, which is called liturgy, is composed of certain symbolic gestures (rites and sacraments) within which music and singing occupy a privileged place” (GIRM 393). Other guidelines are drawn from Musicam Sacram, the Second Vatican Council’s document on liturgical music (MS). 1. Music should be holy. Okay, this one might seem obvious at first. If we’re picking music for Mass, it’s just common sense that the music would worship God in some way! Well, it’s not exactly that easy. What’s meant by the phrase, “Music should be holy”? Music that’s used in the Mass should correspond with the part of the Liturgy during which it is sung. Sometimes this can be clear-cut. For example, if we are choosing a processional hymn, we probably shouldn’t pick a song that talks about Jesus sending us out to be disciples. It just doesn’t fit! But at some parts of the Mass, the lines start to get a bit blurry. During Communion, for instance, the Church says our music choices should directly reflect the Eucharistic mystery that’s unfolding before our eyes. Okay, makes sense. But this can have different meanings. Maybe our hymn directly reflects Eucharistic theology (correctly—a lot of songs have questionable theology about the Eucharist). Or, maybe the hymn reflects our unity with Christ. 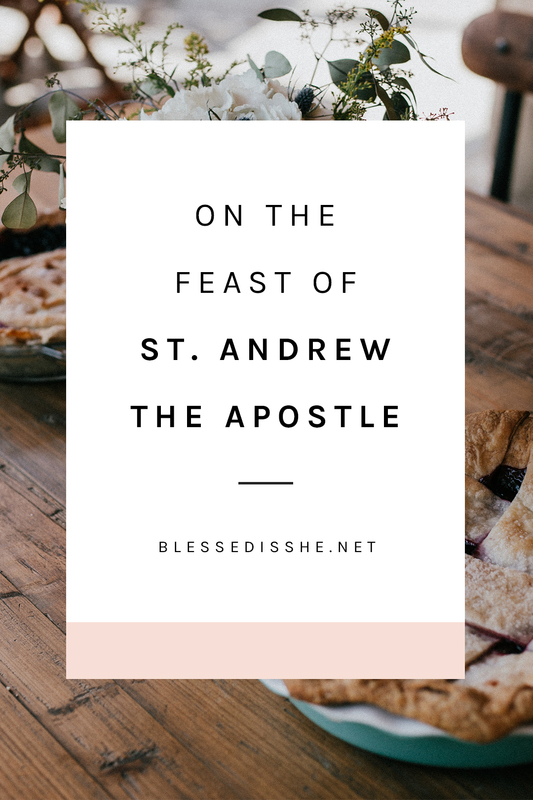 The Church also gives us the option to reflect on the feast day, if that Sunday happens to be a feast day. So on Easter, feel free to use a song about the resurrection (MS 10)! Having to fit our music in line with certain parts of the Mass might feel limiting at first. There could be a song you absolutely love that doesn’t seem to fit in at any time in the Mass. Thankfully, over the past 2,000+ years of Christian tradition, the Church has given us a huge selection of beautiful music to choose from. If a song you love doesn’t fit in, maybe it can be saved for music ministry outside the Mass, like a praise and worship night or lay service. 2. Music should be beautiful. Again, this seems straightforward at first, but it can lead to disagreement amongst parishioners or even within your music group! I’ve learned that everyone has a different definition of beautiful Liturgical music. Some love Gregorian chant and find anything else too distracting. Others have an affinity for traditional hymns with easy melodies that allow the congregation to follow along without difficulty. Still others want more modern praise and worship music that was written and released very recently by popular groups. The truth is, all these types of music are beautiful. And as a music minister, there will always be one person who doesn’t enjoy your hymn choices. The most important thing is that, no matter who disagrees with your idea of “beautiful” Liturgical music, Mass is still Mass. Jesus still shows up. Our job as music ministers is not to please every single person. Our job is to glorify God and lead the community in praising Him. The Church does prescribe some guidelines for deciding what is “beautiful.” Like I talked about above, music should be fitting to the part of the Liturgy during which you’re going to play it. As well, music should be suited to be sung by your group (MS 9). All of us have different talents, but if a song requires complicated piano that’s beyond your abilities, maybe choose a different one. The song should also be suitable to be sung by the whole assembly. This means that if your song requires years of musical training to be able to sing, it’s probably not the best choice. Music ministry isn’t a performance, it’s a collective form of worship, and it should be accessible to most people in the congregation. 3. Music should be universal. This is where it gets a little complicated. Universal? What does that mean? The Church’s guidelines say that music should be in a language that’s comprehensible to the majority. So, in the United States, that usually means English. If you’re singing at a Mass that’s being said in a different language, however, it’s a good idea to find songs in that language (MS 47). Music should be appealing and accessible to most people in the congregation. This is actually pretty difficult. I’ve used traditional hymns, and heard complaints that they weren’t accessible to youth. I’ve used more modern songs, and heard that they were too loud or boisterous for older members of the community. Of course, these are stereotypes. I also know youth who love traditional music and older parishioners who get excited about modern praise and worship. This is one of the situations in which you should try your best. Presenting a range of music, such as a couple of well-known hymns alongside newer hymns, might be a good strategy (MS 10). Lastly, music should not offend anyone’s “prayerful sensibilities.” Basically, this means music should not blatantly prevent anyone from prayer. Now, if there is one person in your parish who absolutely cannot pray unless you only chant in Latin, you probably don’t need to worry about it. But playing a loud, fast-paced song with drums and fancy guitar riffs during Communion probably isn’t the best idea, either. Music ministry should invite the congregation to glorify God, rather than become a distraction where the ministry group shows off their talents at the expense of a prayerful community atmosphere. Music is a beautiful way to glorify God. We’ve been using it since the time that David wrote the Psalms! The best way to assure that music ministry glorifies God is to offer it up to Him. Try dedicating every rehearsal and Mass to His glory, and ask the Holy Spirit to help you lead the congregation in praise. None of us are going to choose the perfect music every time. 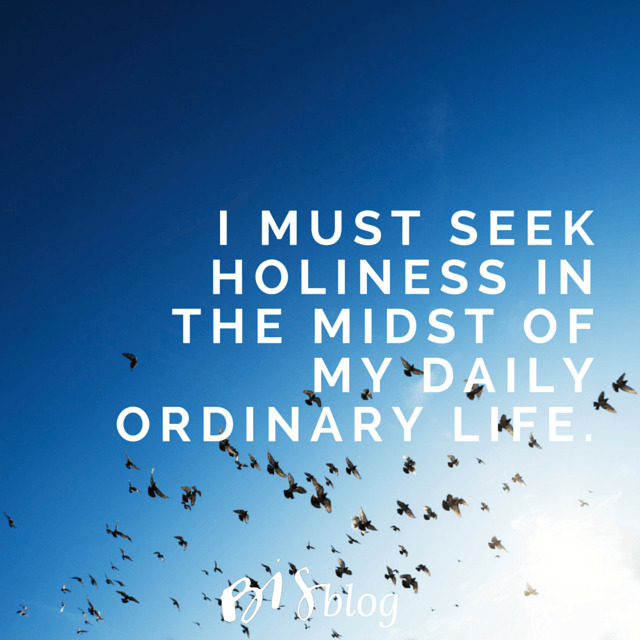 As ministers, we should ask God to give us open hearts, so that we are willing to learn and improve as we try to glorify Him. Most importantly, people in music ministry are using their talents to serve God, and that’s hugely admirable. Doing music for Mass can be stressful and time consuming. So as a congregation, we should have forgiving hearts if they happen to play our least favourite song or choose a song that’s inappropriate. If we have serious concerns, we should bring them up to our pastor gently and with love, not with a spirit of vendetta or anger. After all, the aim of music in the Mass is to create a community of worshippers (GIRM 103), not to create division. 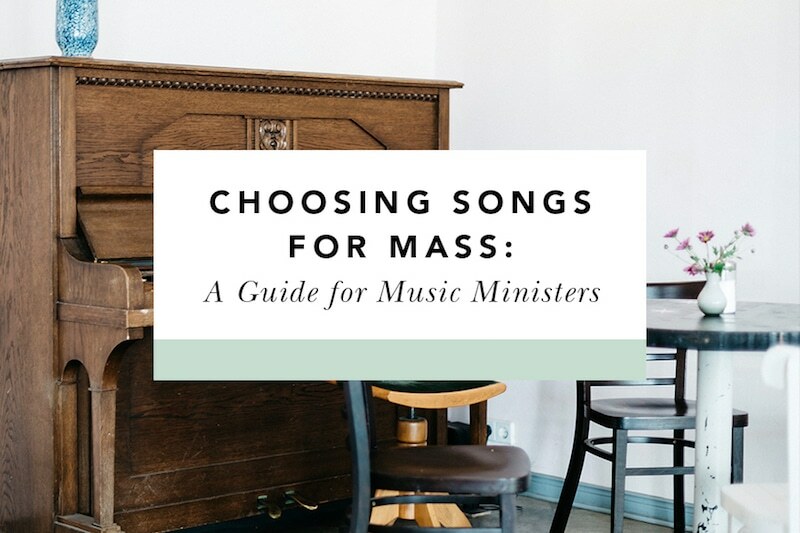 Want to Read More about Choosing Songs for Mass? Katherine DeCoste is a student of English and History at the University of Alberta in Edmonton, Canada. When she isn’t writing papers or studying for exams, she spends her time playing music, writing poetry, and striving to serve the Lord in small things. This post contains affiliate links. 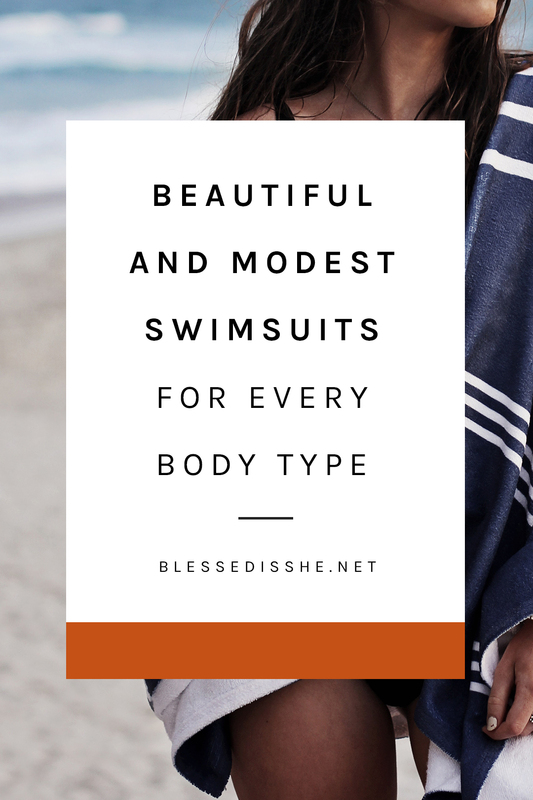 So if you make a purchase by clicking through one of these links, Blessed is She will receive a small percentage of your purchase at no additional cost to you. Thank you so much for supporting this ministry!